When temperatures start rising, the idea of signing up your child for swimming can sound especially appealing, both as a way to keep them active and to beat the summer heat. The American Academy of Pediatrics generally recommends waiting to start formal swimming lessons until age 4, although there are programs geared toward swimming readiness and water safety for those as young as 6 months. Once lessons are completed, the door is open for your child to pursue swimming on a more competitive level. 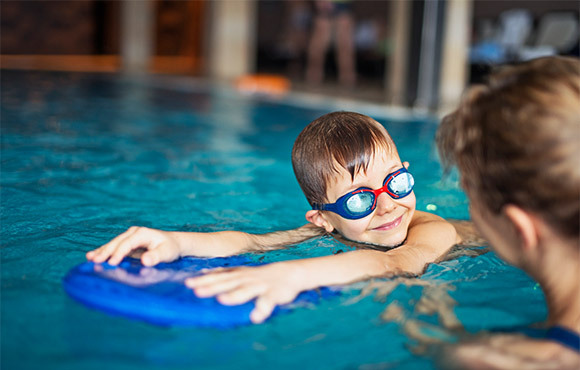 Children as young as 5 or 6 can join swim teams, and organizations such as the YMCA offer the opportunity to meet with an instructor to assess a child's ability and place them into the right age group and skill level. Swimming can provide a unique athletic outlet for children, one that encourages both a team environment and individual achievement. Before diving in, here are a few things to keep in mind. It's important to feel comfortable in the water, so if your child isn't quite ready to join a team, consider a bridge program. These provide additional practice in the pool, offering a way to learn more about technique and the four competitive strokes: freestyle, backstroke, breaststroke and butterfly. Bridge programs, also referred to as Pre-Team, can be the perfect way for children to prepare for swimming at the next level. Find a team or swimming program that fits what you and your child want out of the sport. 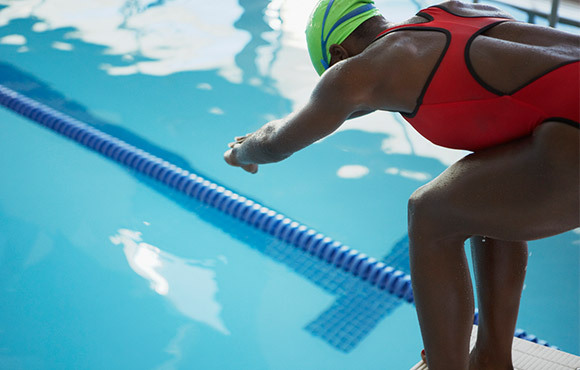 Along with offering resources to learn more about swimming in general, both USA Swimming and your local YMCA are great places to start when looking for a team to join. When you have a few options, checking to see whether you can observe a practice with your child can make the decision easier. If you just want to test the waters, summer-only leagues can be a good way to experience the commitment that swimming requires and to gauge your child's interest in the sport. There's always time to build up to a year-round team if your child flourishes in the water. Providing your child with the right equipment is essential in any sport, so check in with a coach or instructor to see what's required of team members. 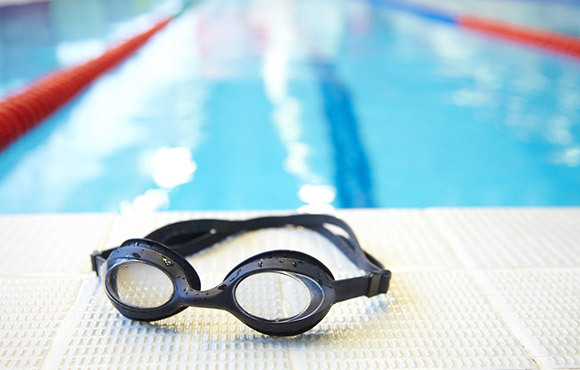 Goggles, for example, protect against chlorine and provide clear vision, while caps keep hair safely tucked away. 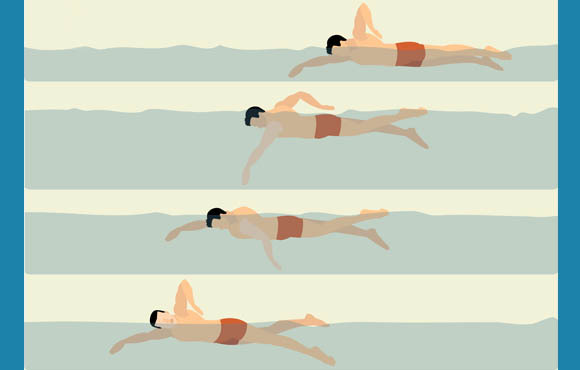 Unlike some other sports, swimming is a low-impact activity, which helps prevent strain on the body. By taking up swimming, your child is learning a sport they can continue throughout their life, one that can also be a launching point if they are interested in pursuing triathlons for younger ages. Swimming also differs from other sports in that although it's a team activity, your child will often be competing in individual events during meets. Keep in mind that your child will put in a lot of practice for short--but rewarding--bouts of competition. Water sports can be especially appealing to children, but they pose safety challenges. Even after a child learns to swim and improves their skill level, it's crucial to promote smart practices to prevent drowning and other accidents from occurring. 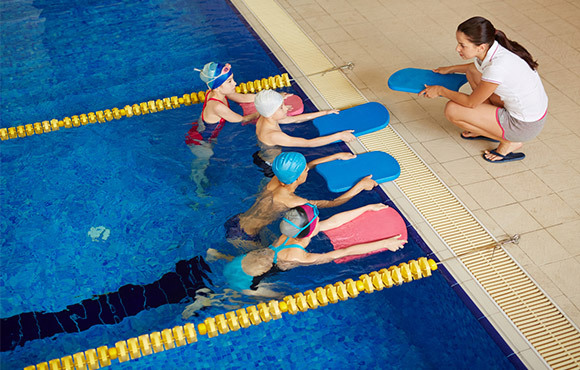 Children--especially younger ones--should be closely monitored in the pool at all times, and when signing up for lessons or a team, always check that your child's instructor is safety certified.